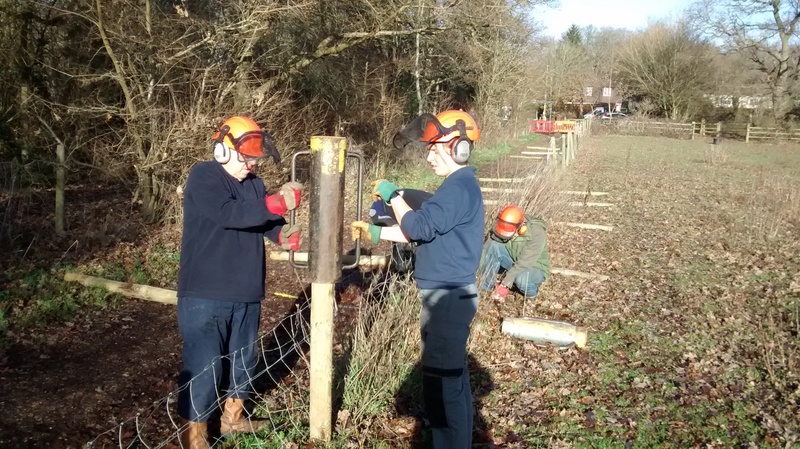 In the run up to Christmas the volunteers joined Charlotte and I for a sunny task at Moor Green Lakes. As you walk down from the car park the fence on the left hand side was showing it’s age, and wobbling with 18 rotten posts. First we set about removing the stock net and top wire from the old posts. To ensure the new posts were installed away from the old snapped off rotten bases, we developed a cunning plan with the old posts laid out in the paddock (right) and the new ones lined up a foot along on the path side (left). Next in teams of two we used the drivel to bang in the beefy 4″ posts. Last of all was the skilful matter of tensioning and re-attaching the wire to make the fence stock-proof. 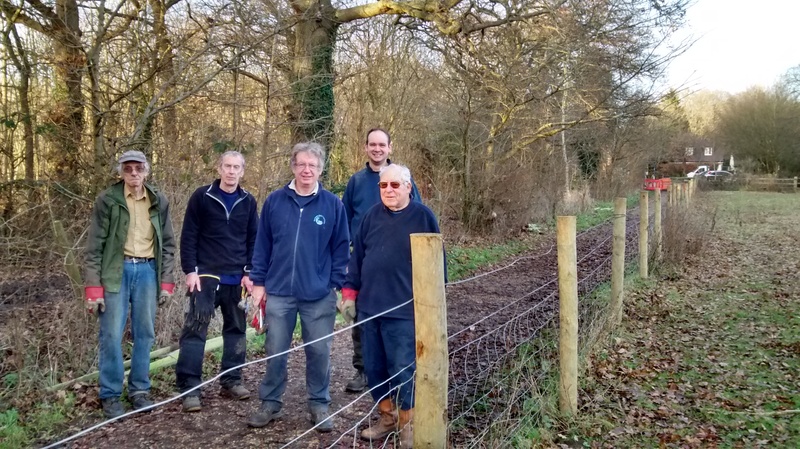 A massive thank you to Mike, Paul, John, Tony and Charlotte who stayed for a longer day to get the entire 90m of fence fixed. 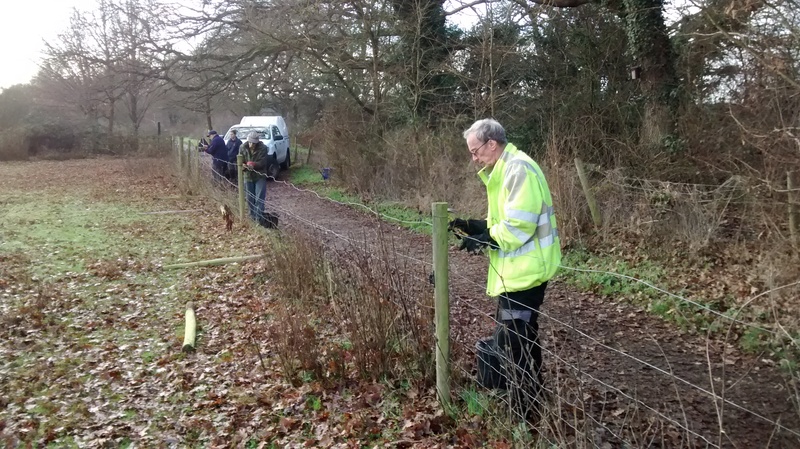 This entry was posted in Moor Green Lakes, Volunteers and tagged fencing, Moor Green Lakes, Volunteers. Bookmark the permalink.